It can be used as a background for a shop window display widely used for party wedding room etc. Simple beautiful:curtains is easy hanging with any standard curtain rod.Suits for wedding and all kinds of parties. Creative windowdoor curtain for adding style to any window or doorway. To make your room romantic and good divider for room it shows fashion and simplicity. Notes:Due to the light and screen setting difference the color of item may be slightly different from the pictures. 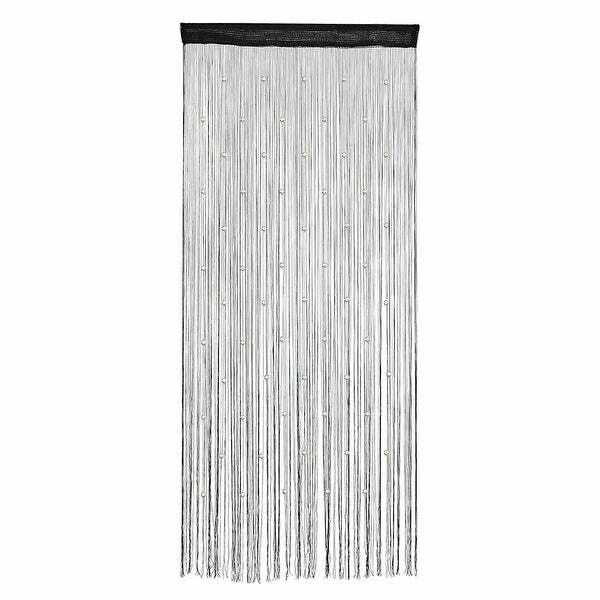 Drop Beaded Chain String Curtain Voile Net Panels for Room Divider 39"x78"